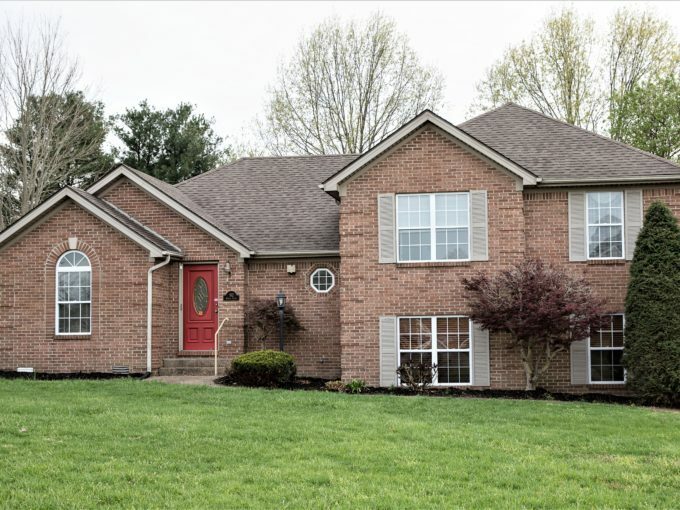 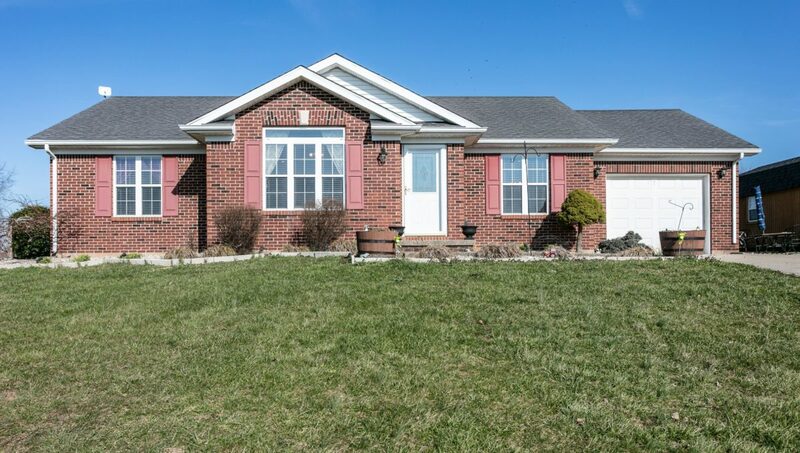 This exceptional brick home offers everything you need all on one floor…Plus numerous upgrades & amenities that give it that extra touch of class! 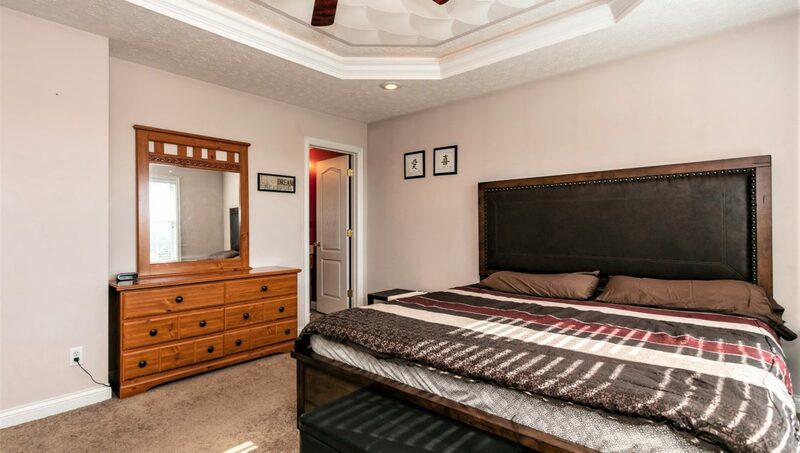 It is located just off a cul–de-sac in the rear of the Falcon Crest Subdivision and features 3 bedrooms (one a larger master suite on one end of the home offering a tray ceiling w/ decorative accent lighting & its own private full bathroom), a 2nd full bathroom to service the 2 bedrooms on the other end of the home, a spacious eat-in kitchen highlighted by gorgeous maple cabinetry (includes the matching appliances – refrigerator, dishwasher, radiant top stove & built-in microwave)…The kitchen flows to a comfortable & cozy living room offering a vaulted ceiling, a large sunlight enticing picture window & a front entry way…Plus a utility room off the kitchen that leads to a large attached 1 car garage w/ plenty of attic storage above! 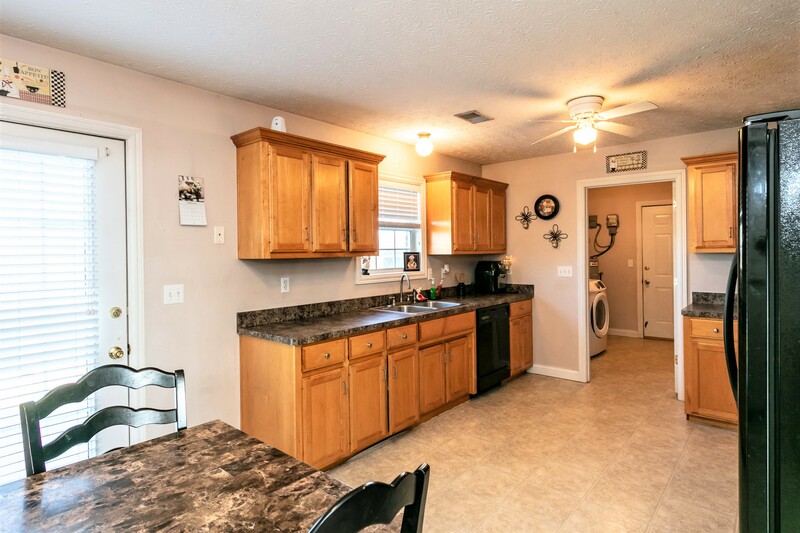 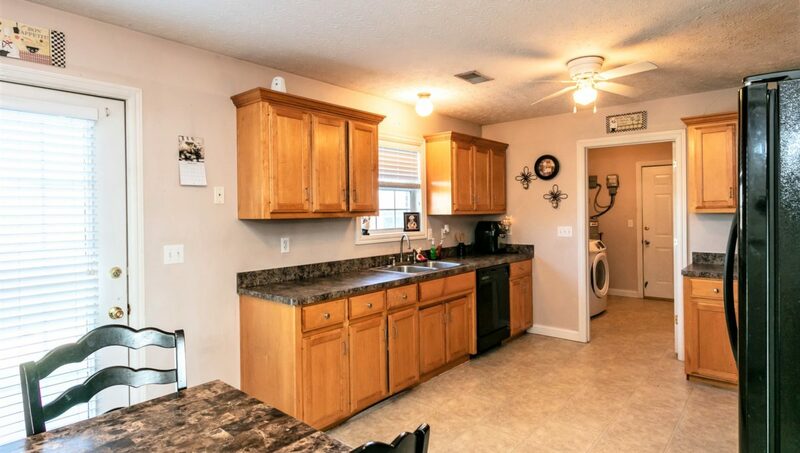 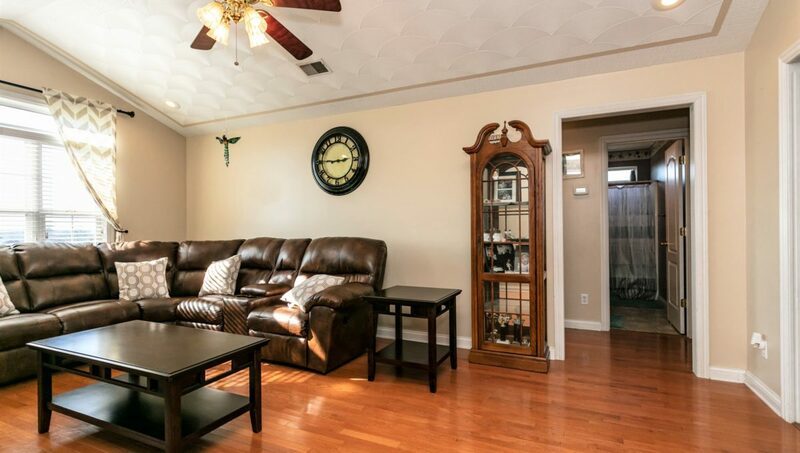 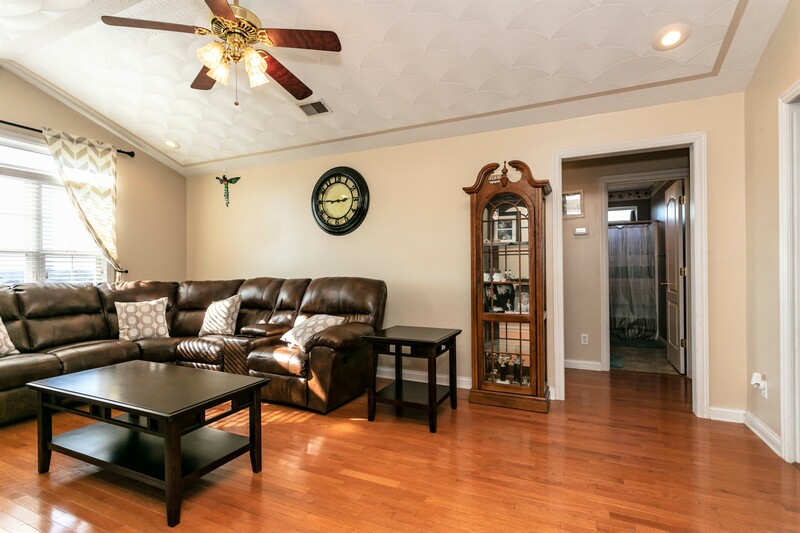 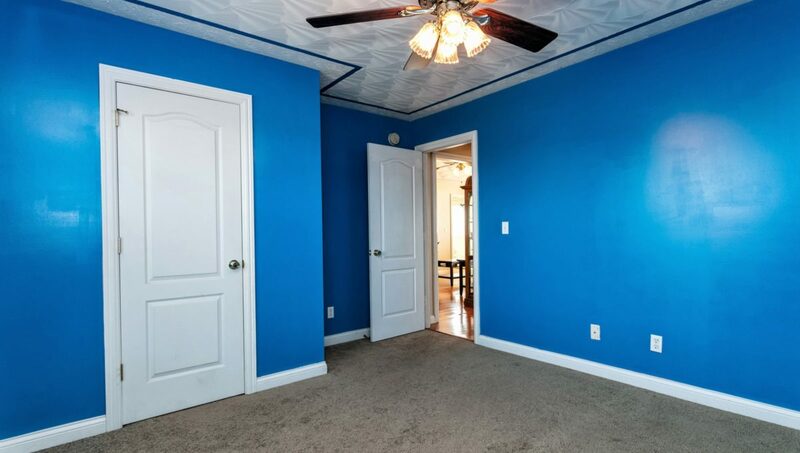 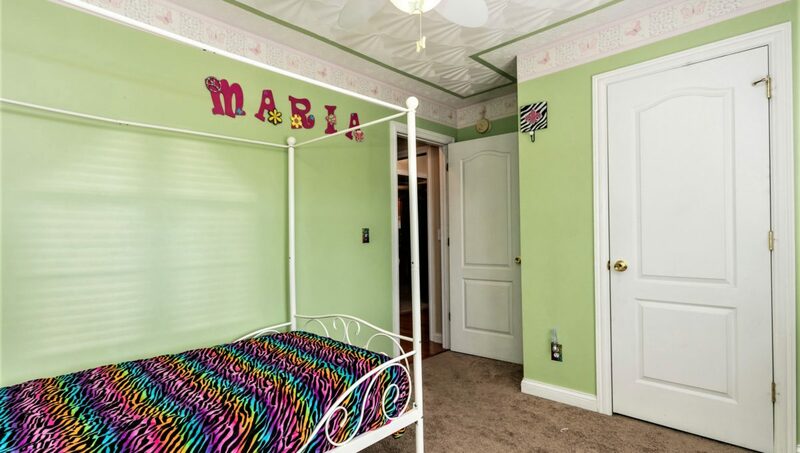 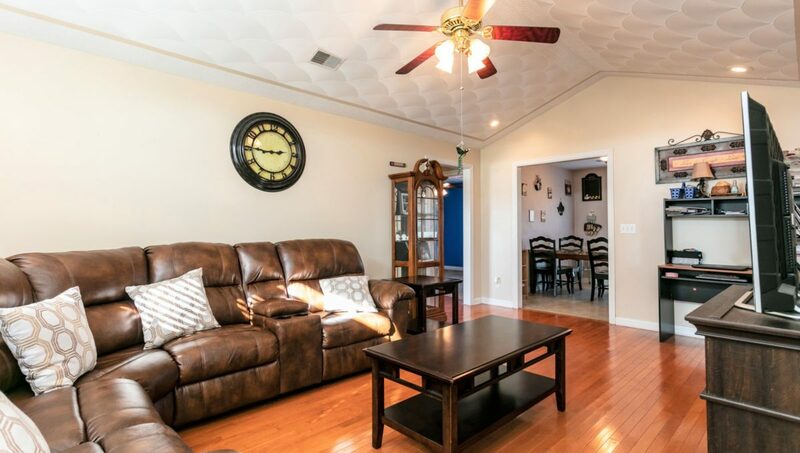 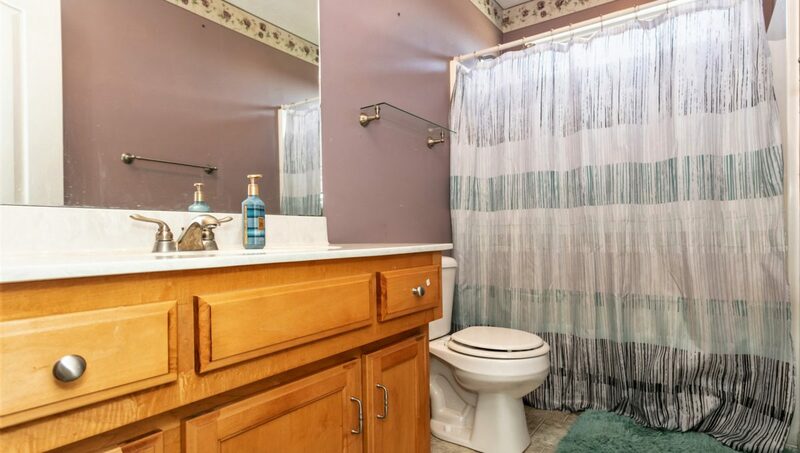 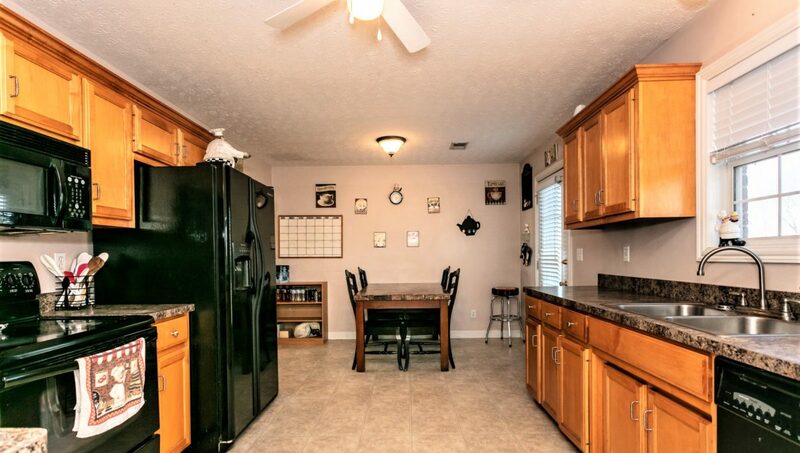 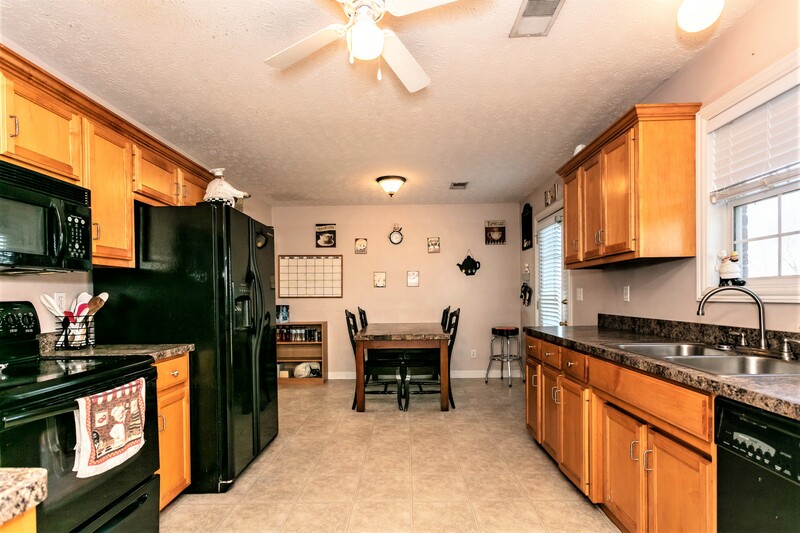 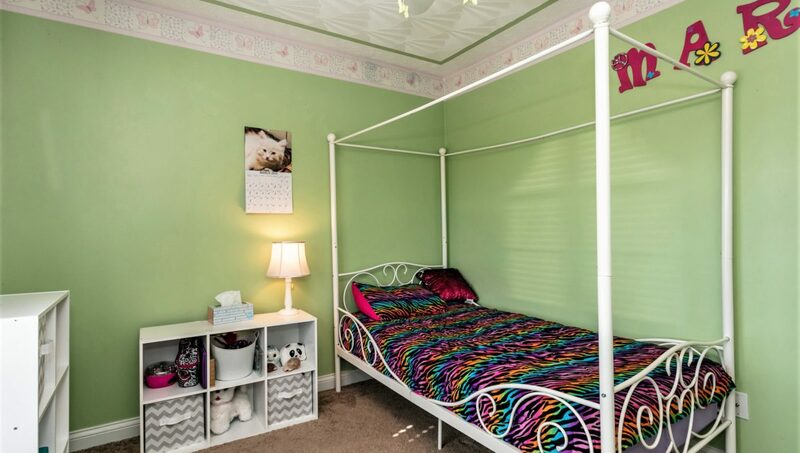 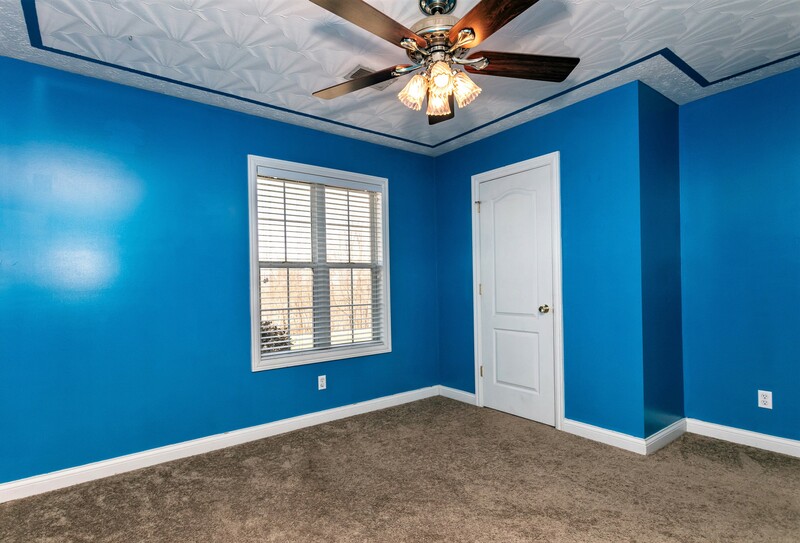 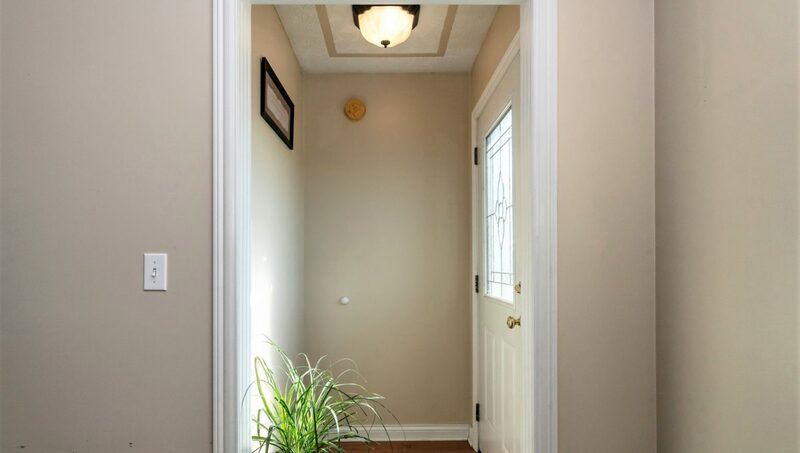 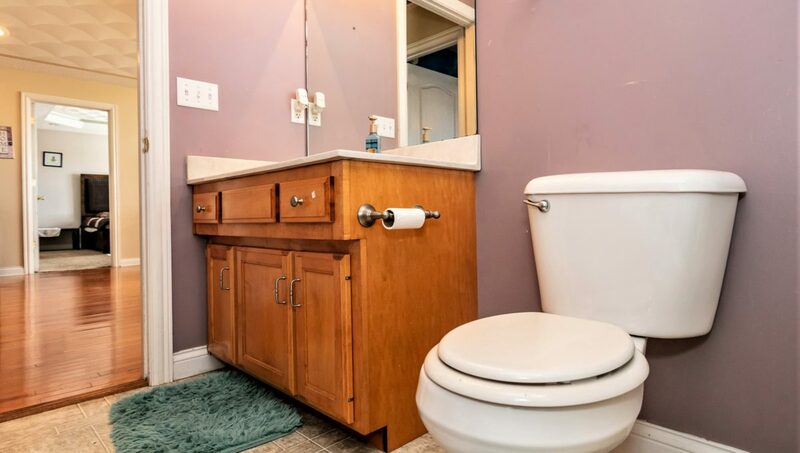 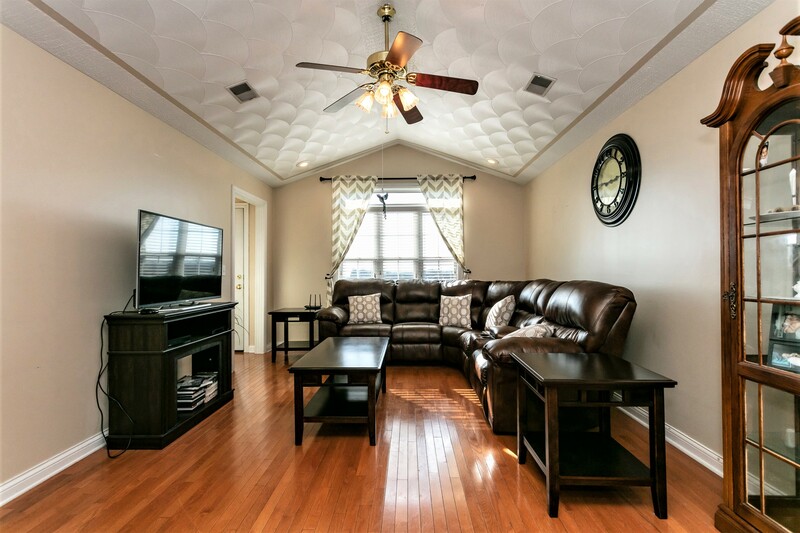 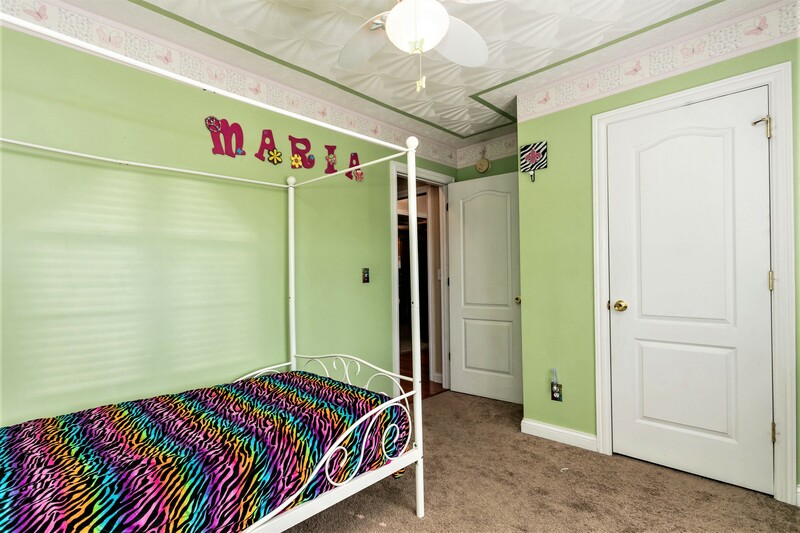 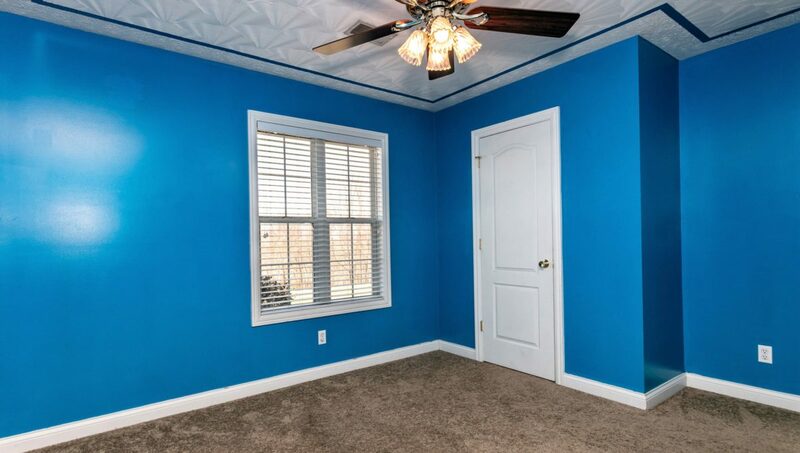 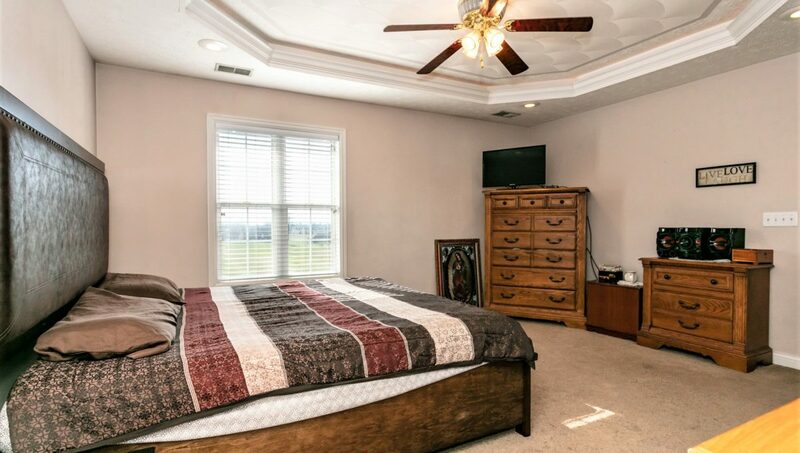 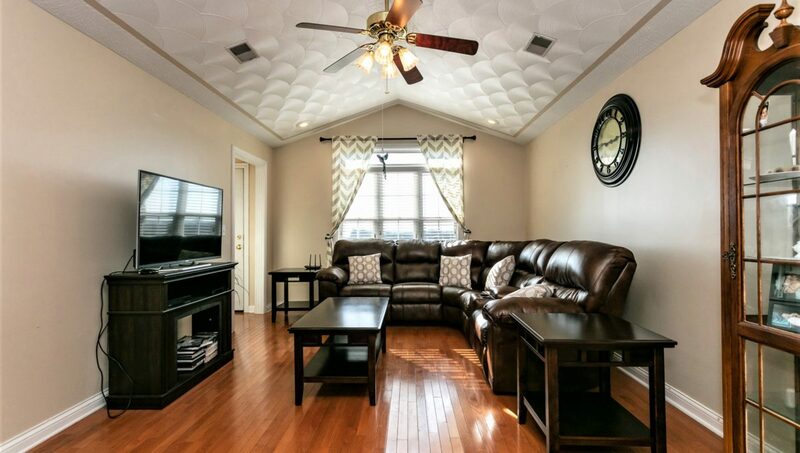 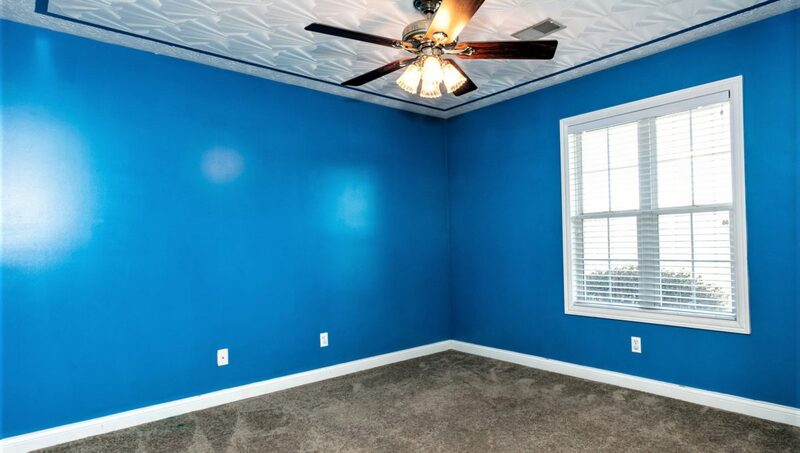 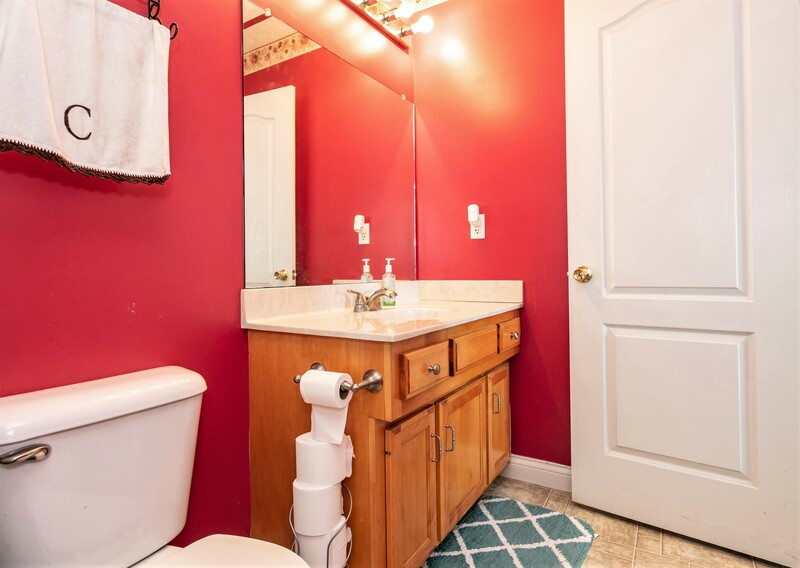 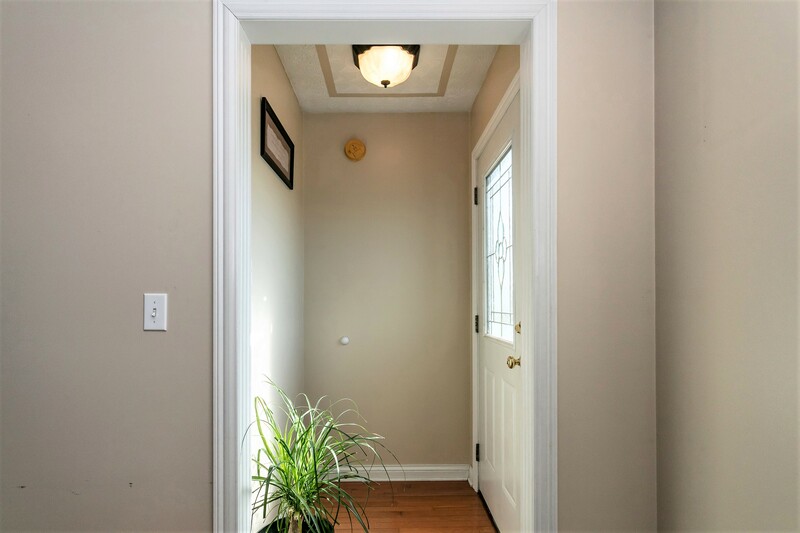 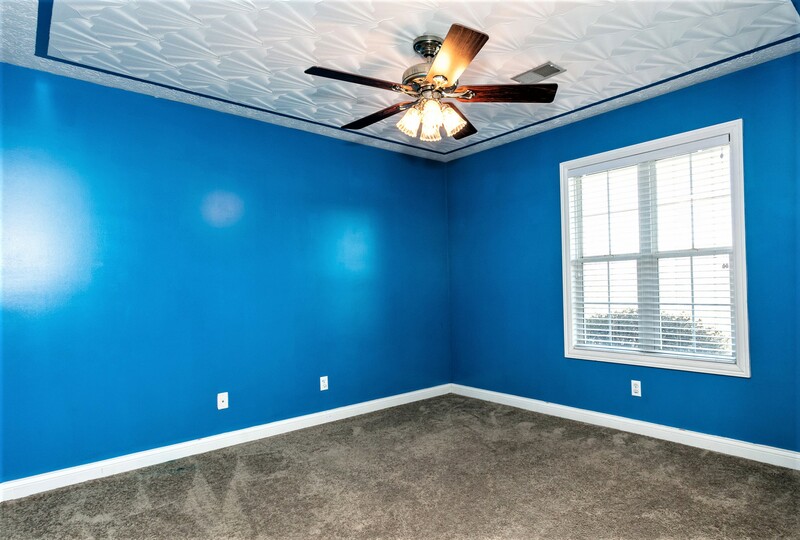 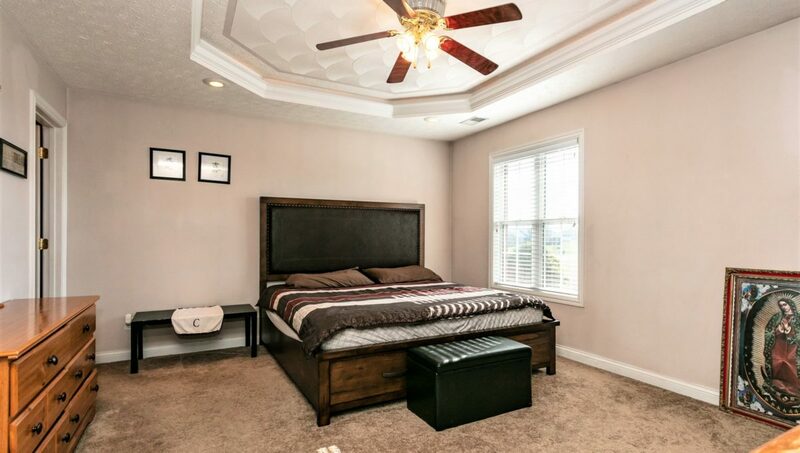 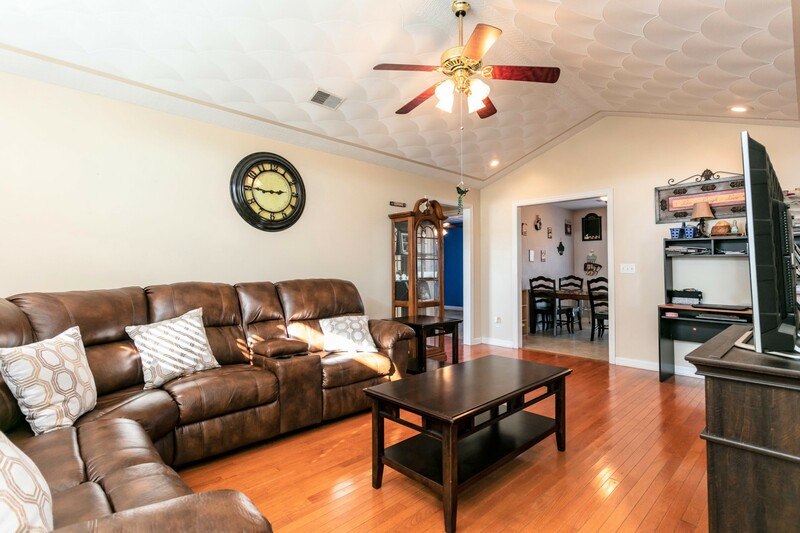 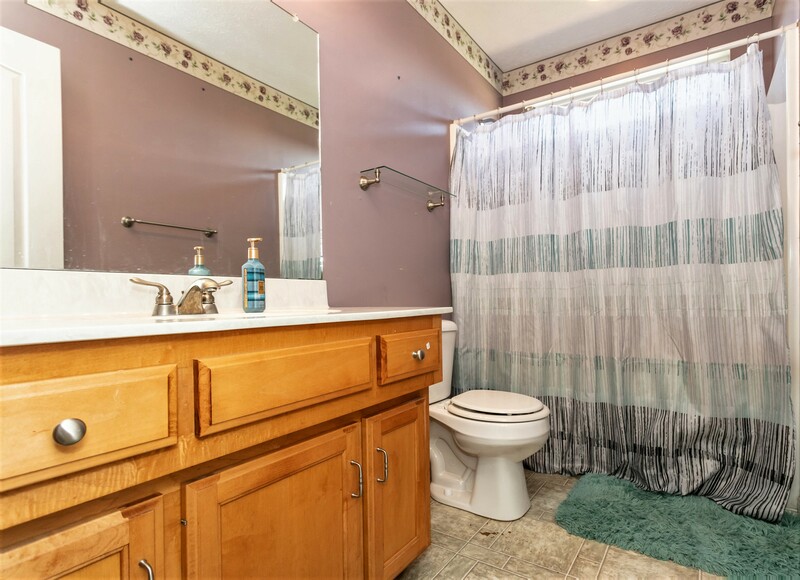 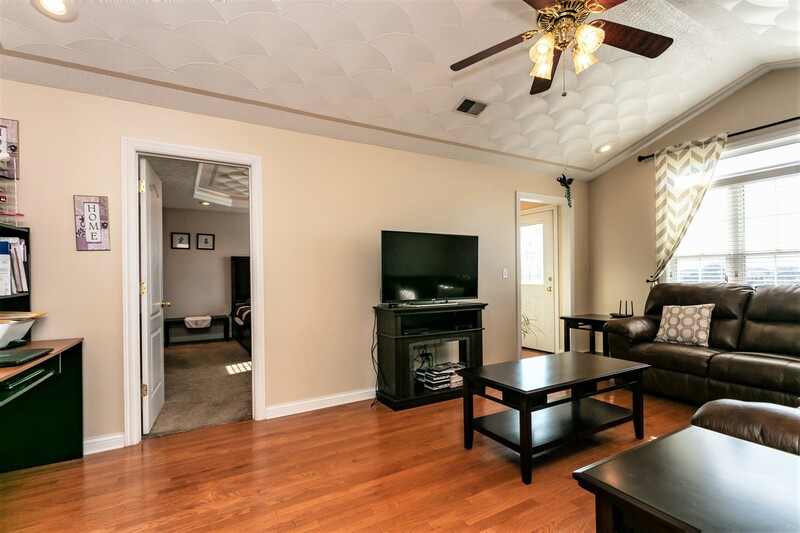 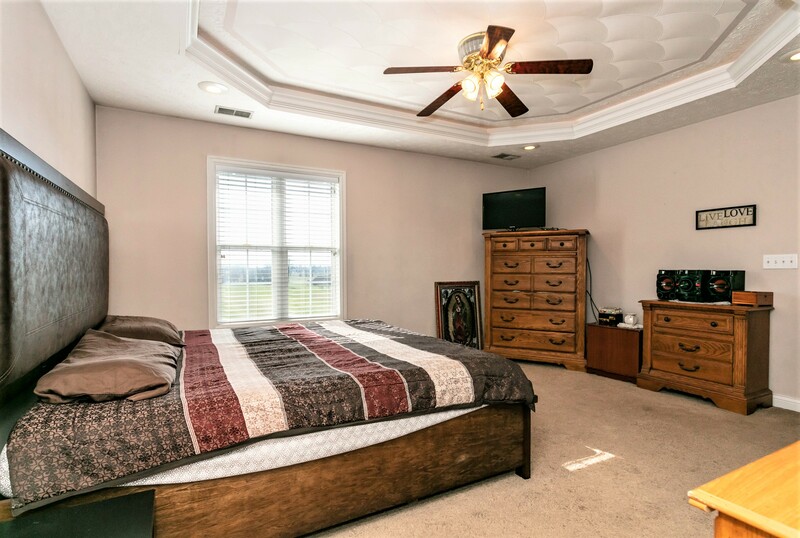 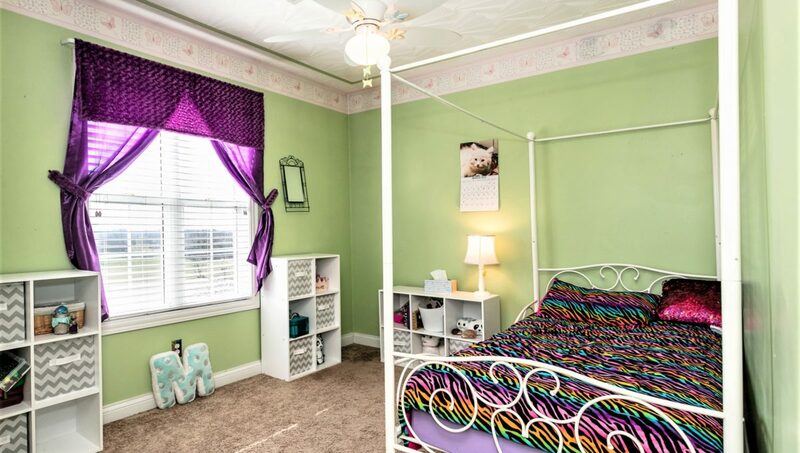 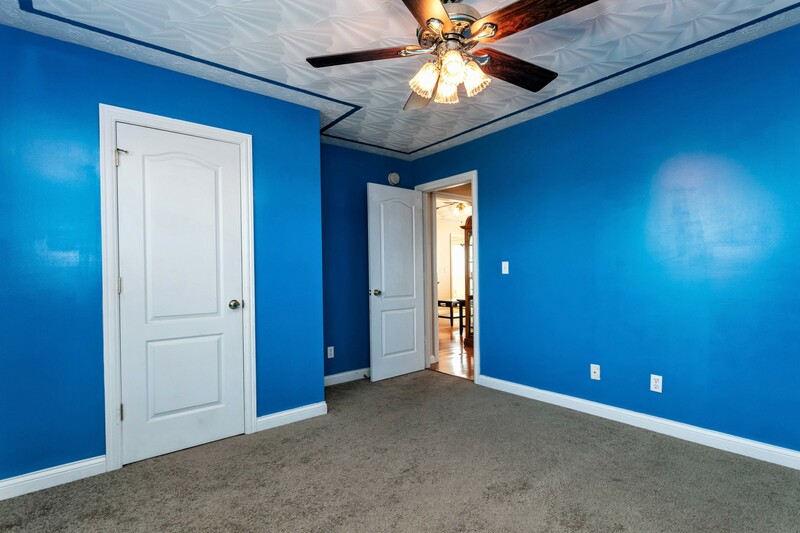 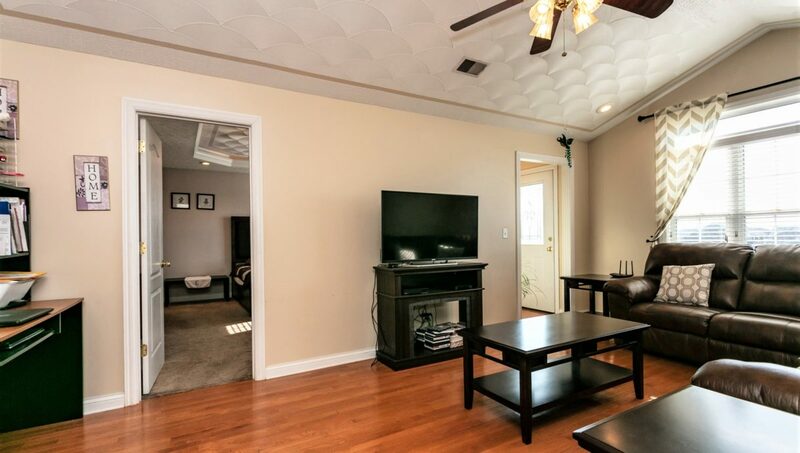 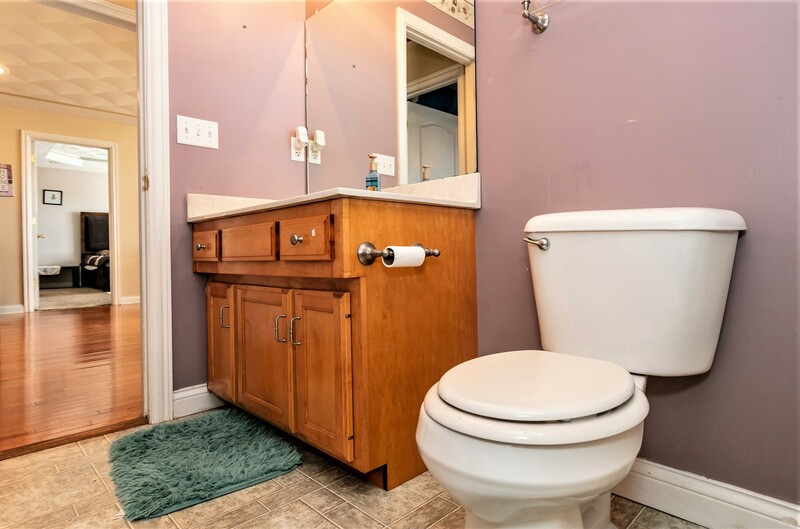 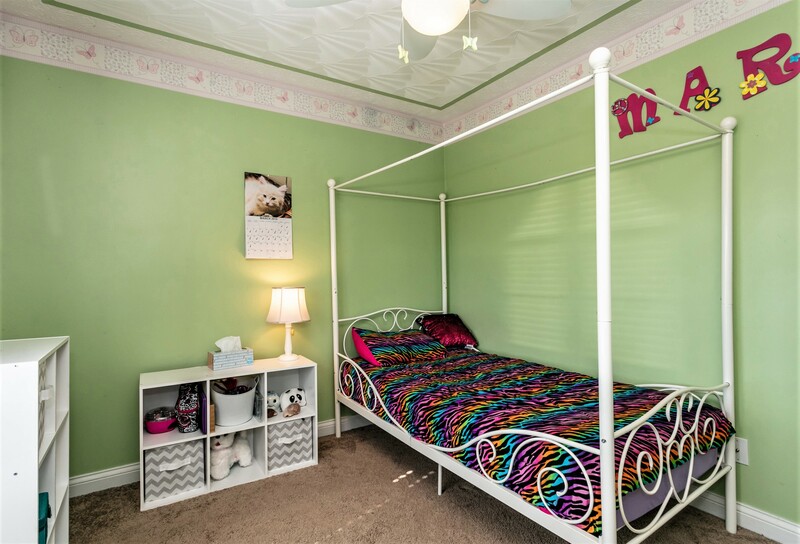 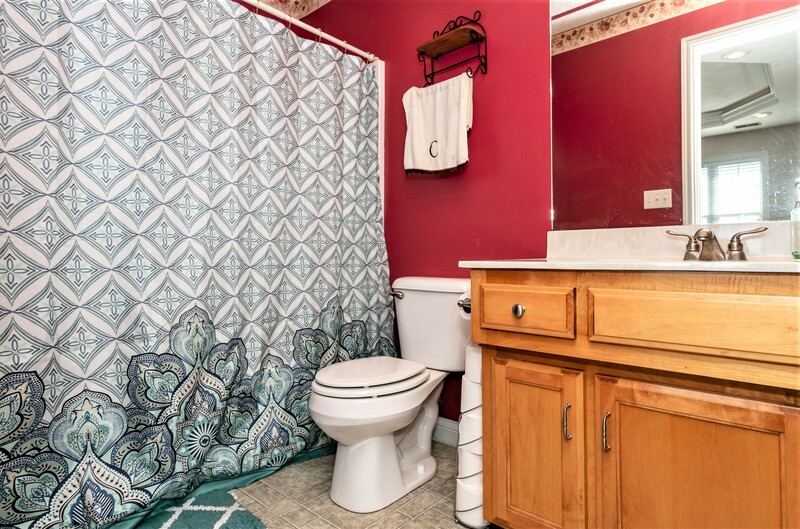 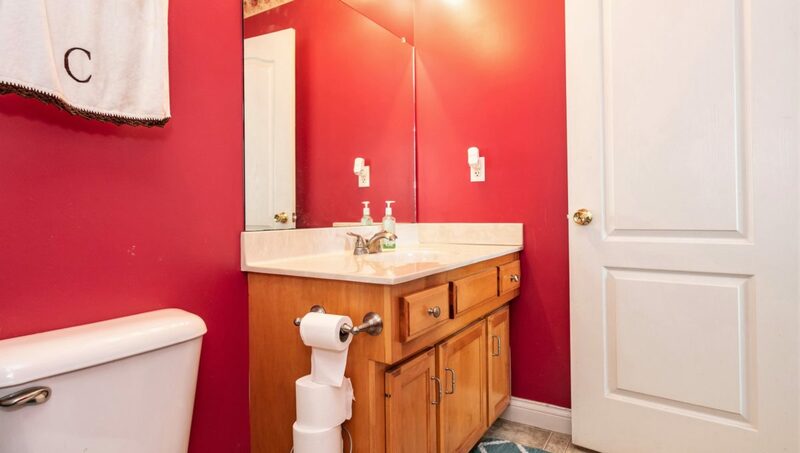 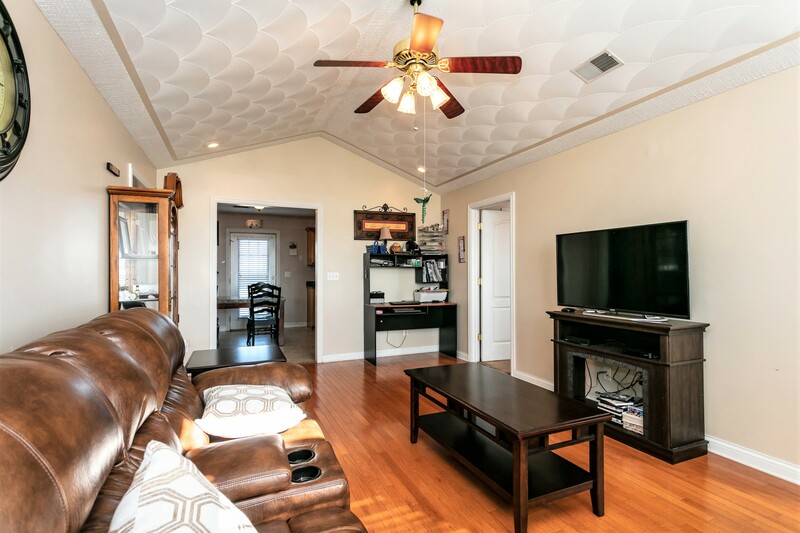 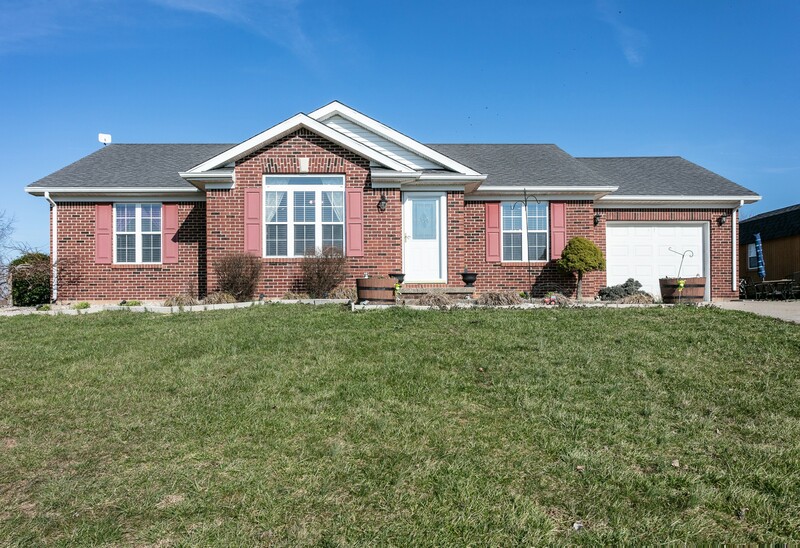 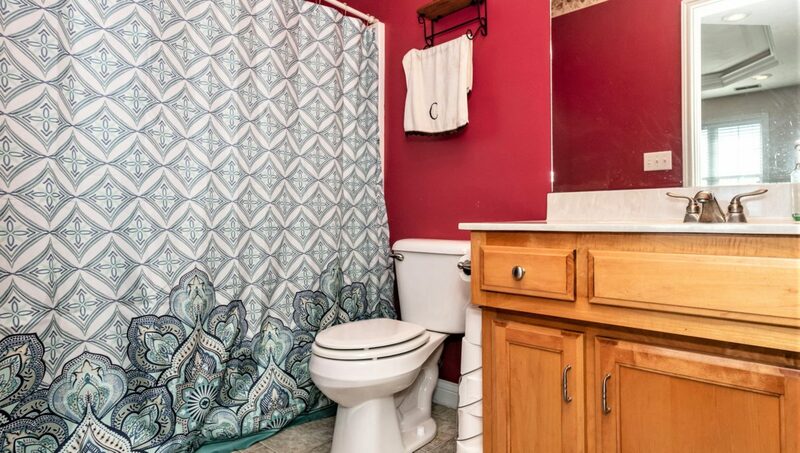 Inside you will enjoy a delightful palette of colors, beautiful hardwood flooring in the living room & front entry way, nice carpeting in all 3 bedrooms, first class plumbing fixtures, lighting fixtures & ceiling fans…And so much more! 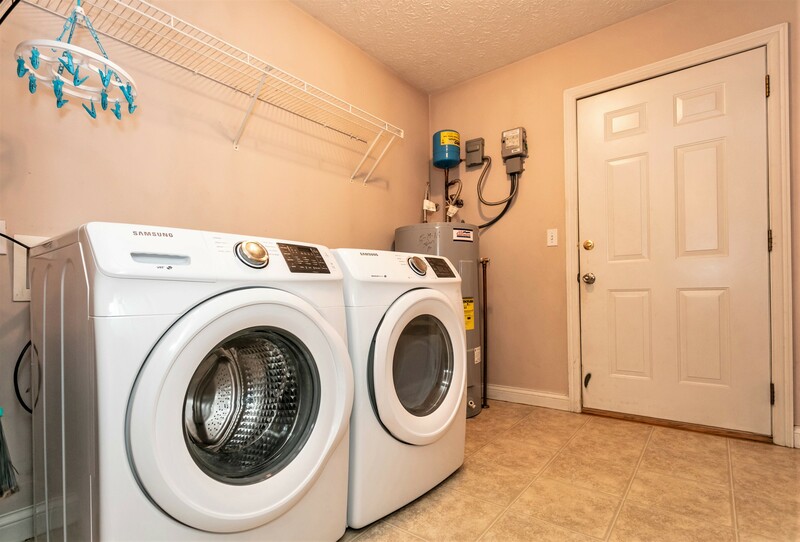 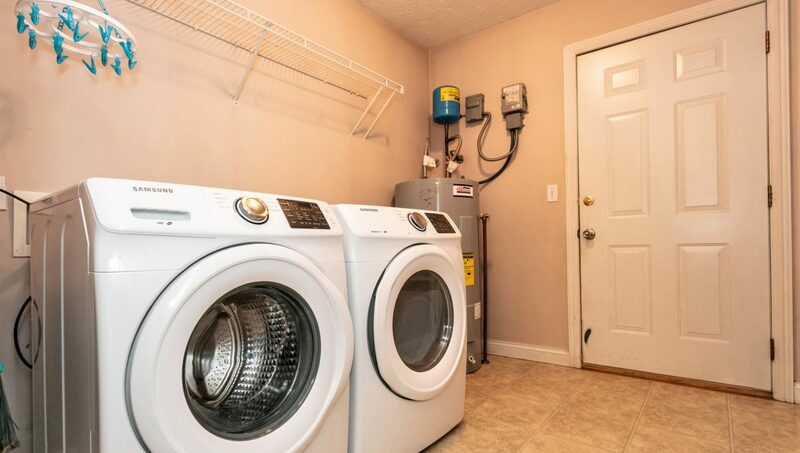 As an added bonus…The water heater was just replaced in May 2018! 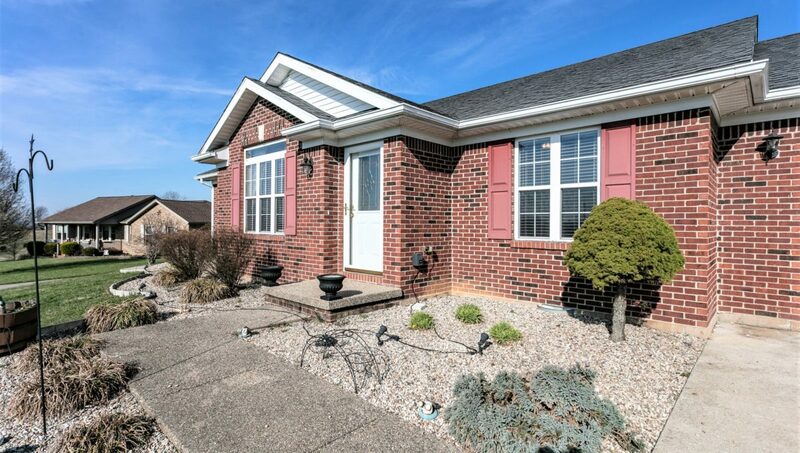 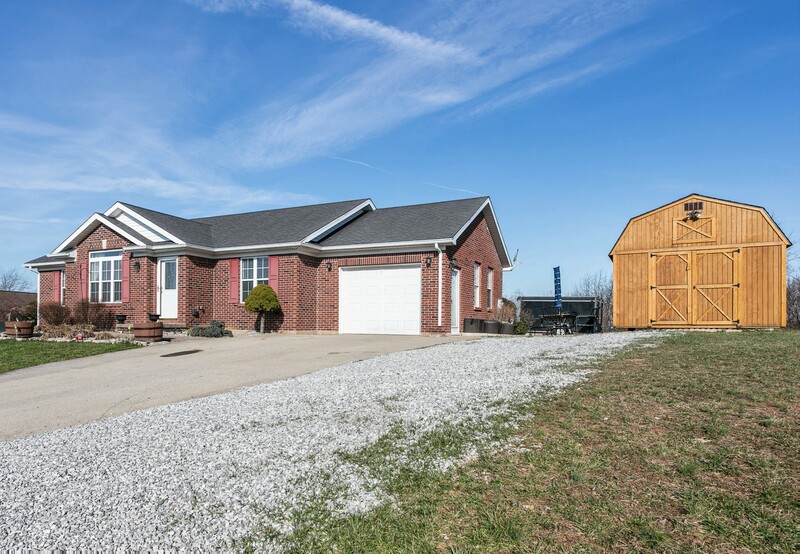 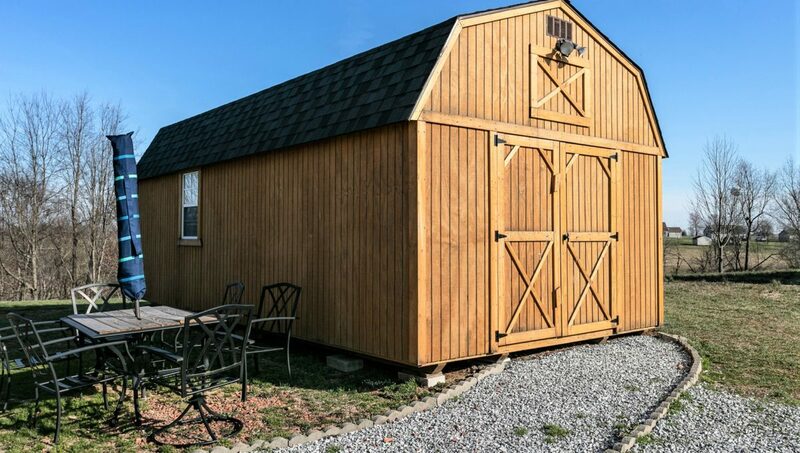 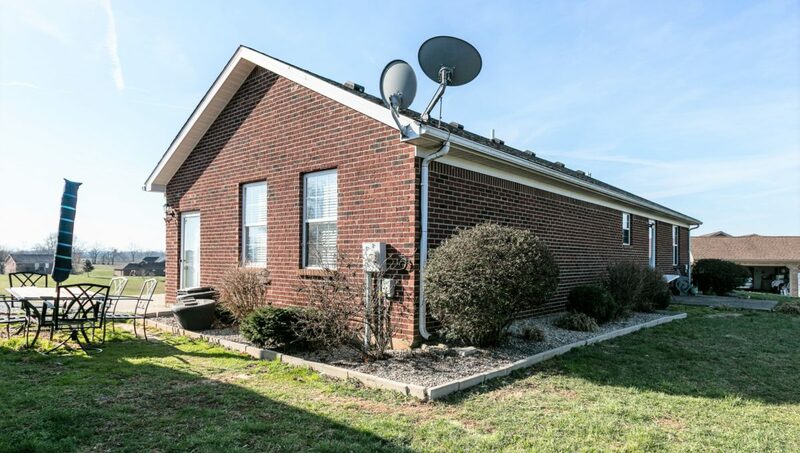 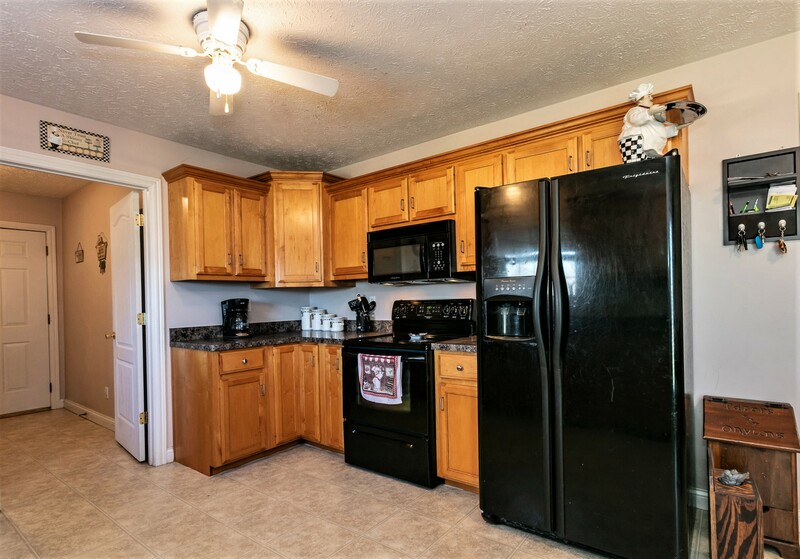 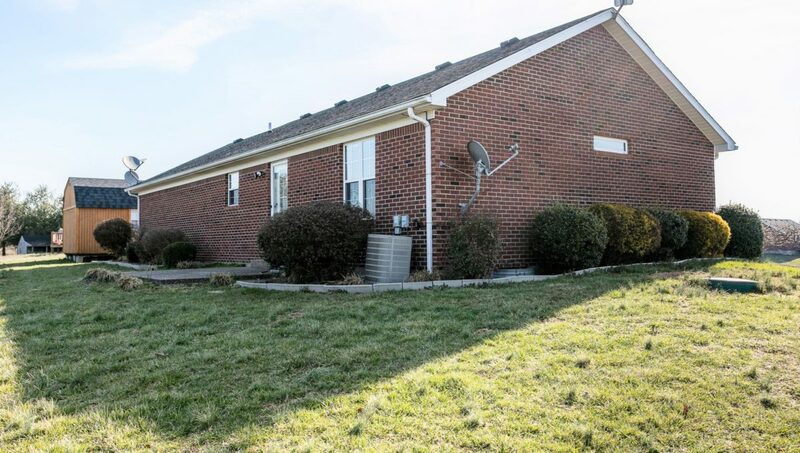 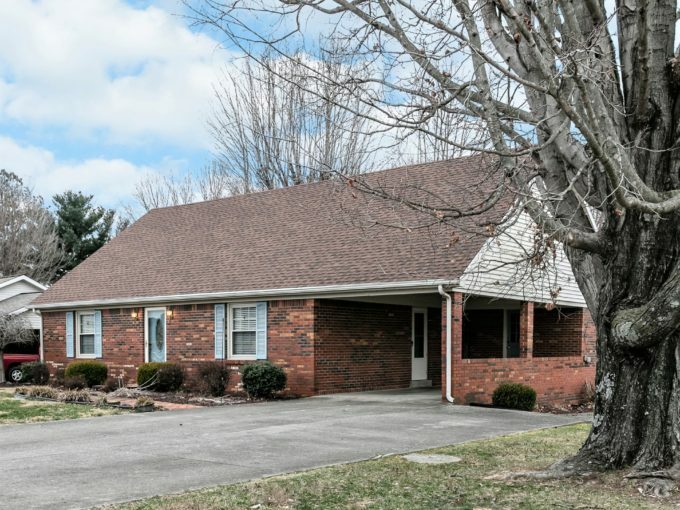 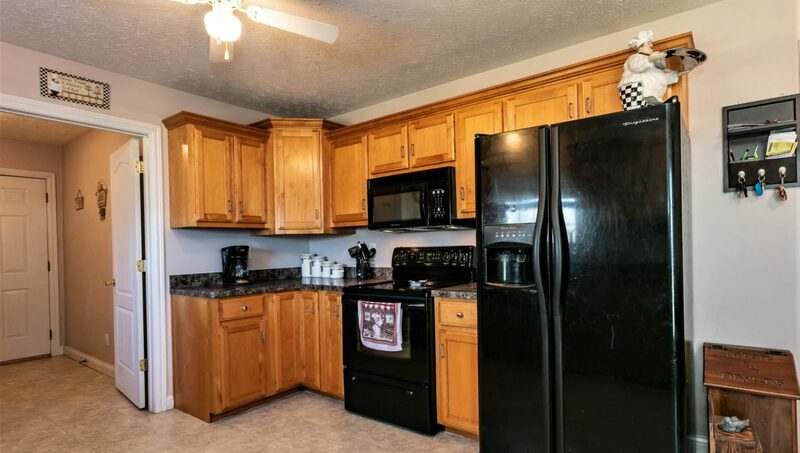 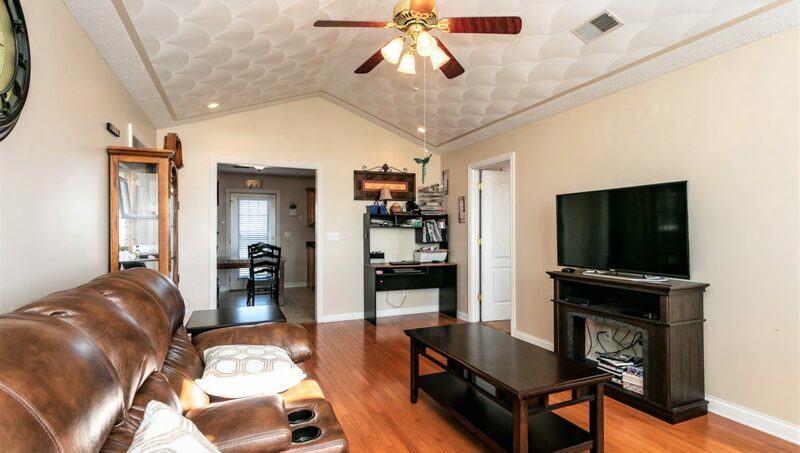 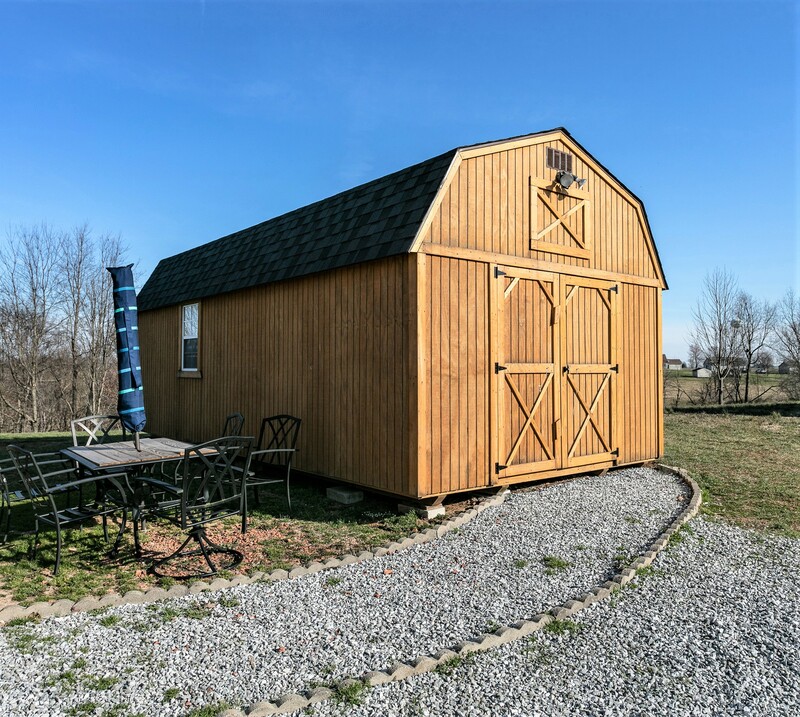 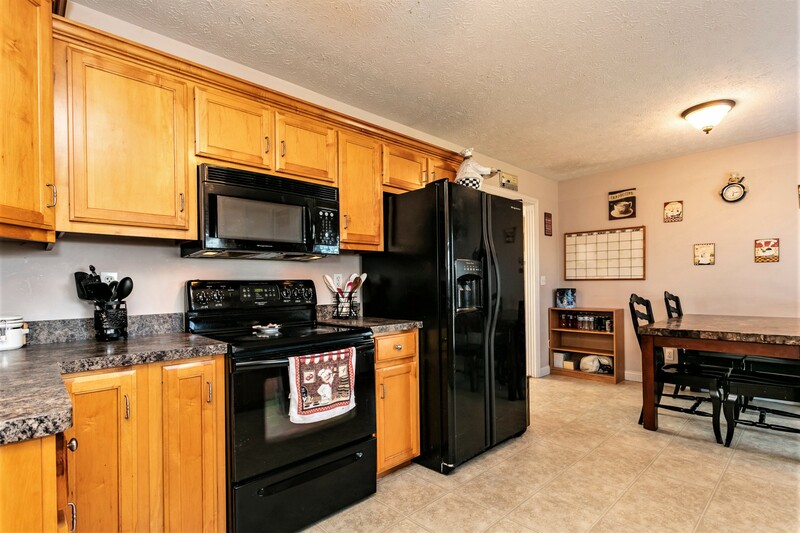 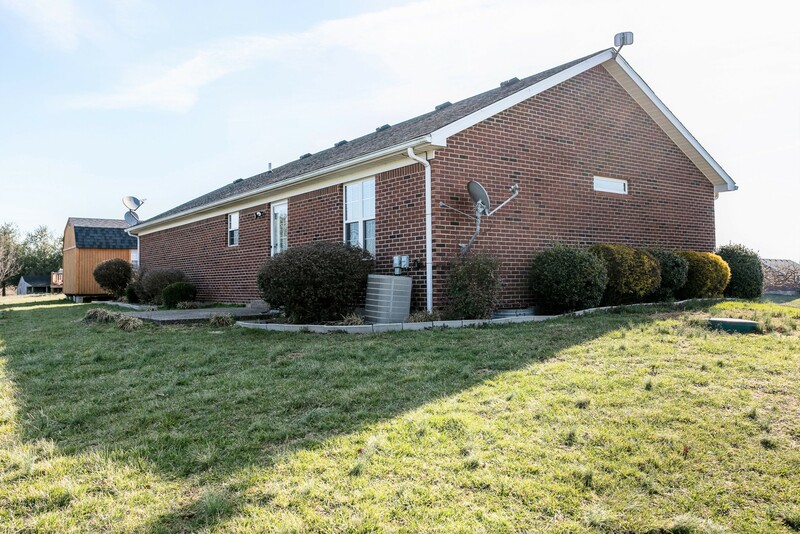 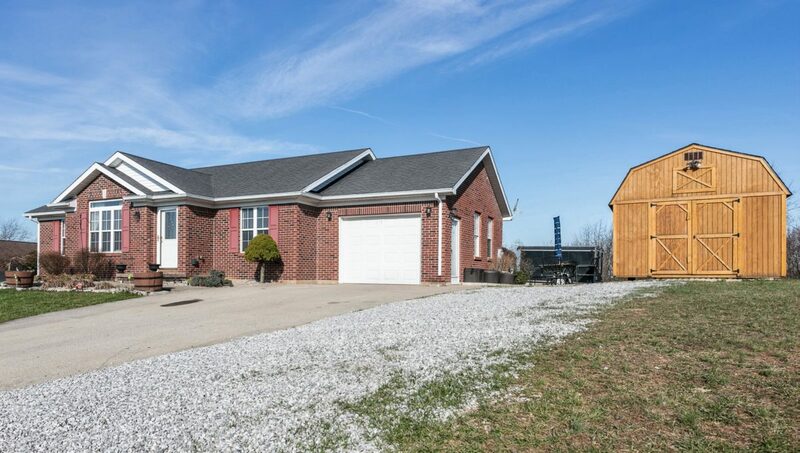 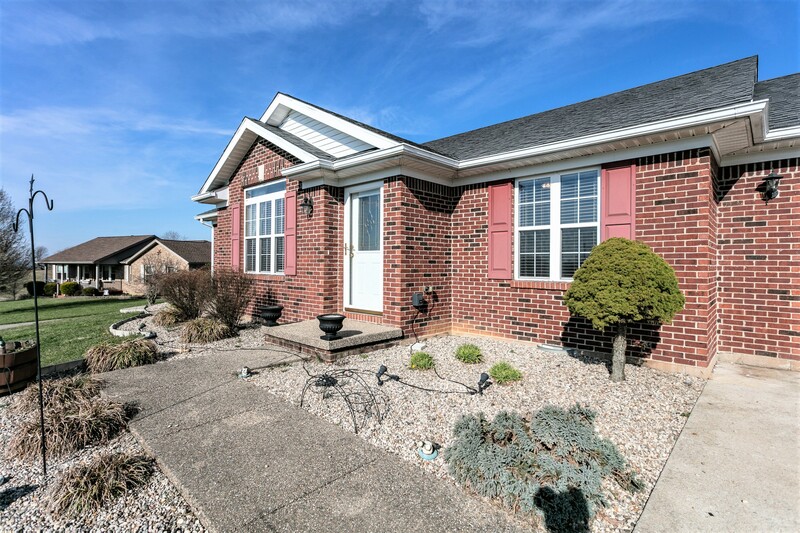 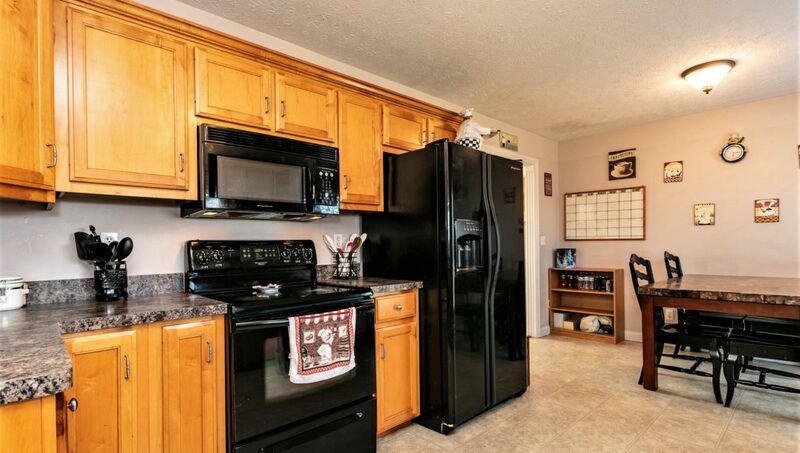 Outside you will enjoy taking it easy on the rear patio while enjoying the view of the woods that you own in the rear of the property…Also lots of colorful landscaping, a concrete driveway w/ additional parking area…And an awesome 12′ X 24′ multi-purpose insulated wooden building (purchased new in 2018) w/ electricity, double front doors, 2 windows & loft storage…This can be much more than just a storage building (think ‘man cave’ or even a great play house for the kids)! 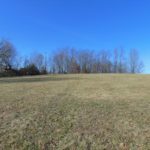 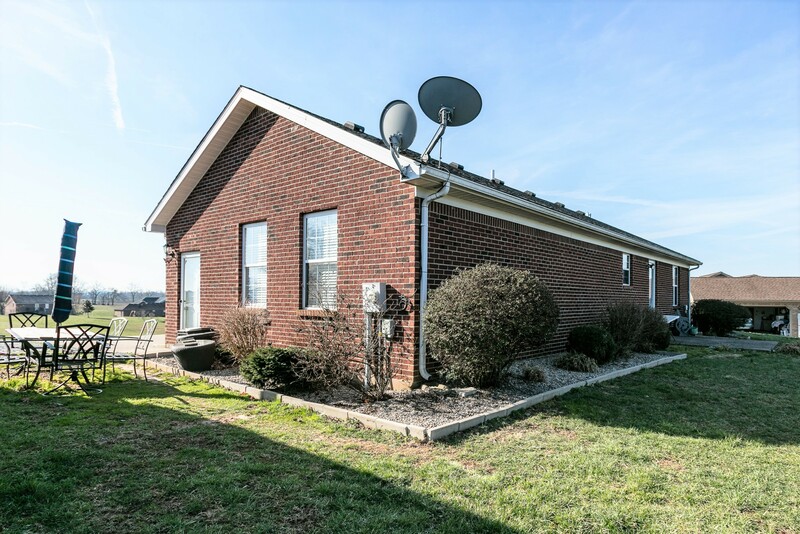 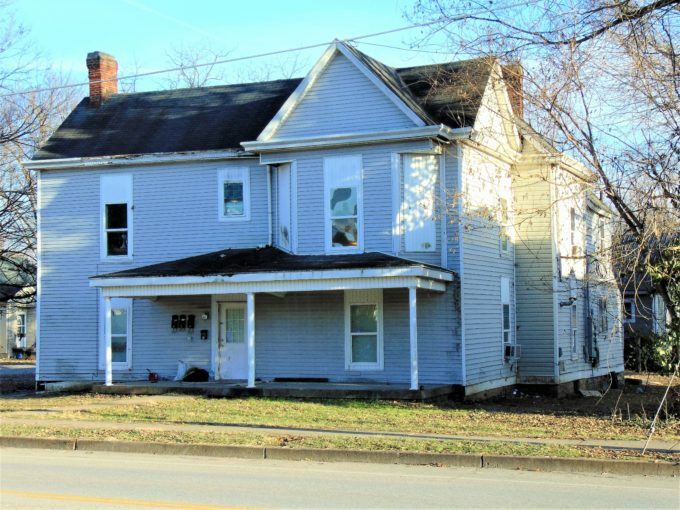 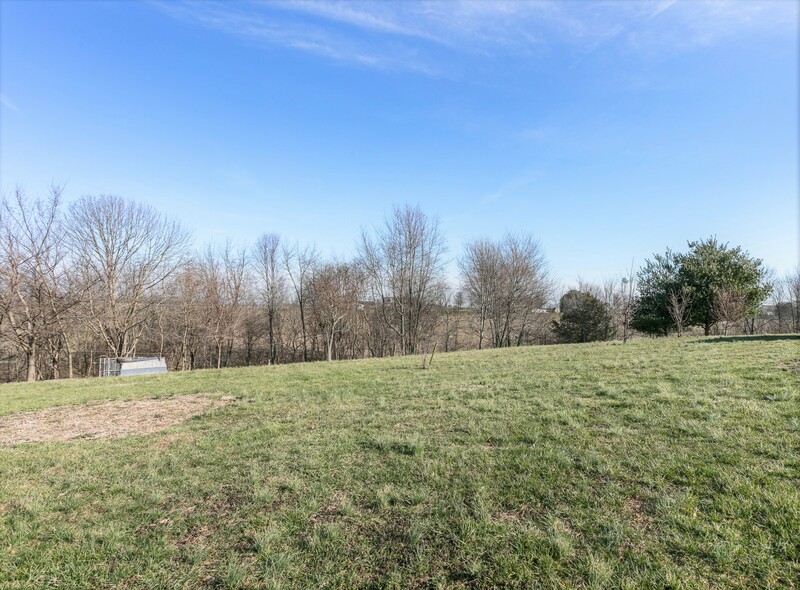 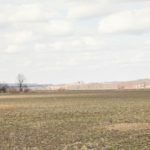 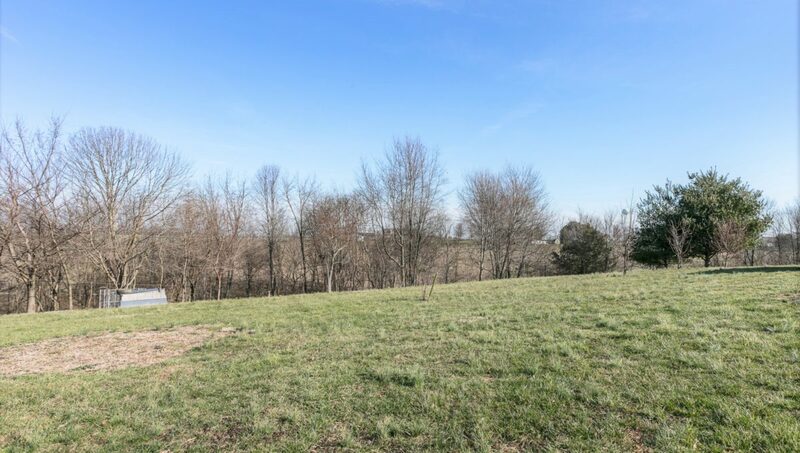 All this on a wonderful 1.55 acre spread of land just a few minutes from all the conveniences of downtown Lebanon…At a very affordable price! 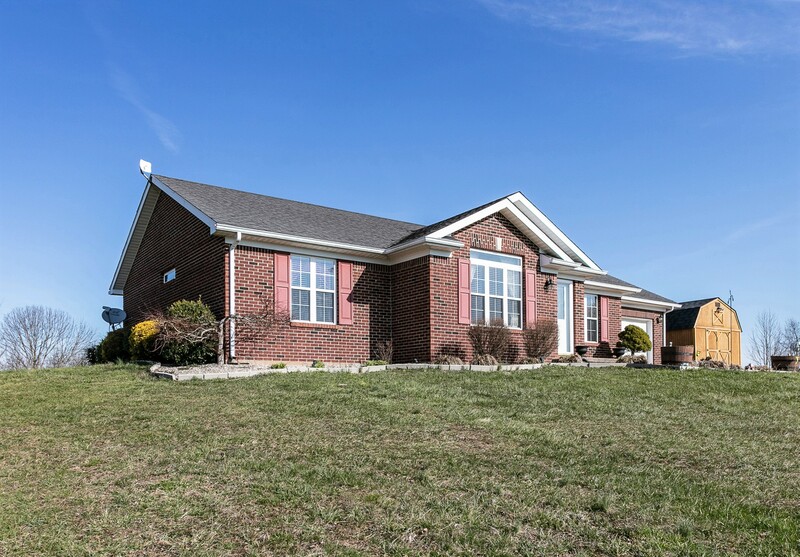 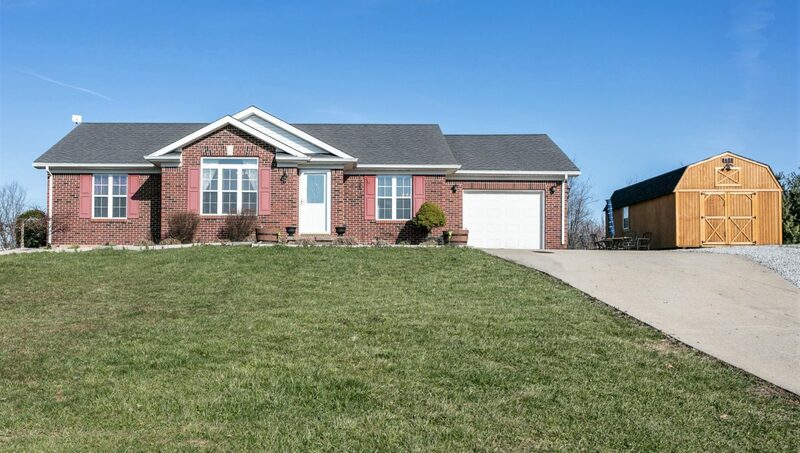 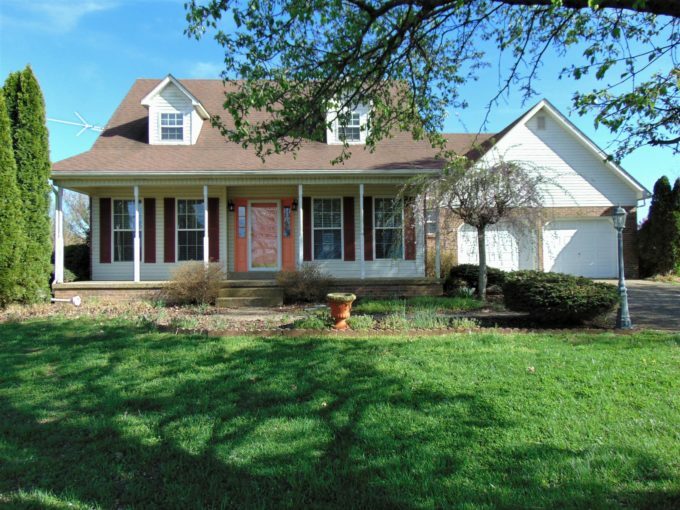 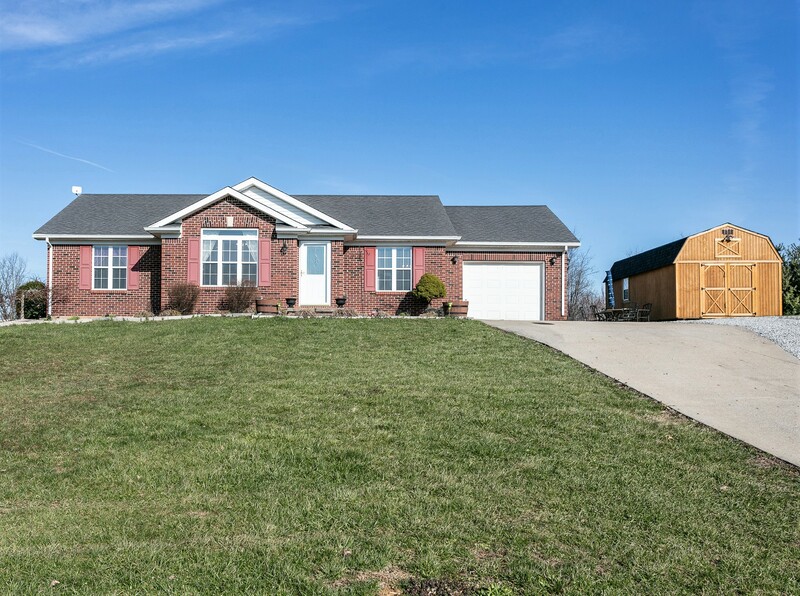 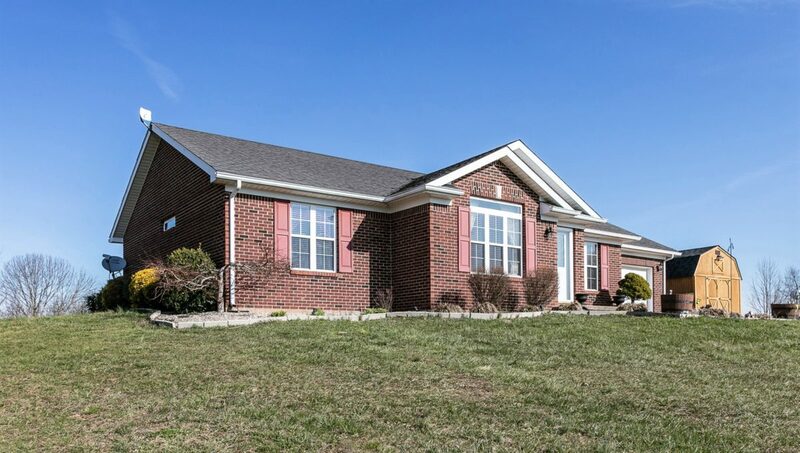 Call IRVIN ABELL for all the details on this jewel of a home.